Pedestrians suffer the vast majority of severe injuries and wrongful deaths when an injury accident involves a motorized vehicle. Drivers will often be paying less attention to the presence of pedestrians and more attention to more formidable road hazards. Accidents involving pedestrians often involve pedestrians who are struck in a parking lot, in a crosswalk, on a sidewalk or they are side swiped while exiting a bus or car. Pedestrian injuries can also arise from sidewalks or parking lots in dangerous disrepair. Municipalities, property owners and other third parties may be held liable if they were negligent. Pedestrians injured by a vehicle have the same right to seek financial compensation as any motorist. 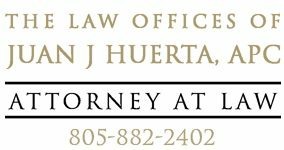 Juan Huerta Law is knowledgeable and familiar with the issues involved in pedestrian accidents and injuries. We will work closely with you to obtain the compensation you are entitled to.